Lewis L. Judd received his M.D. degree with honors and was elected to Alpha Omega Alpha at the UCLA School of Medicine. 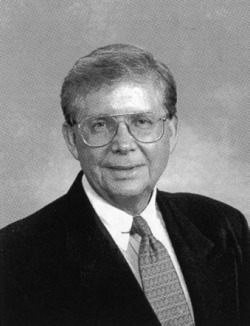 From 1987-1990, he served as Director of the National Institute of Mental Health (NIMH). Under his leadership, the UCSD Department of Psychiatry has emerged as one of the nation's outstanding academic departments with extensive and high quality programs in research, education and training and clinical care. He is an expert in biological psychiatry and clinical psychopharmacology and his extensive research contributions include over 200 scientific publications, along with 9 edited books and monographs. He is a national leader and spokesperson for the essential role of empirical science in psychiatry and has been an important national force for equitable treatment of the mentally ill in national health care policy. He has been awarded numerous honors including an honorary Doctor of Science from the Medical College of Ohio for national leadership in brain research, a Distinguished Service Award from the American College of Psychiatry, and elected membership in the Institute of Medicine.